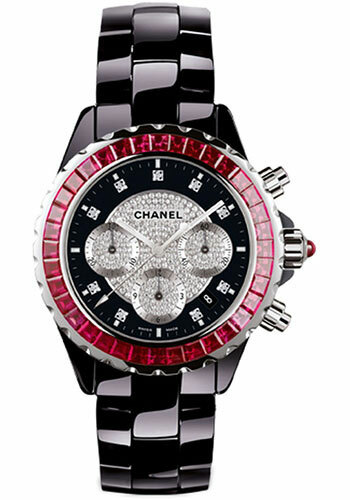 The superior look of the Chanel Black J12 - Large Size (ref H1635) is effected by its black-lacquered dial with 12 ruby hour markers, date display between the 4 and 5 o'clock positions, as well as luminous white hands and index hour markers. 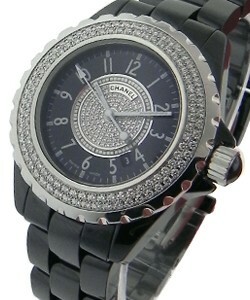 The dial also showcases white-painted minute and seconds track indexes while being protected by a sapphire crystal. 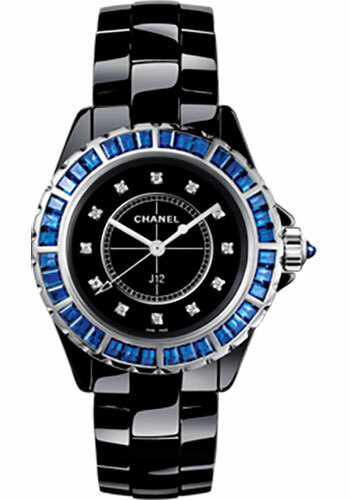 Housed in a 38-mm ceramic case, the Chanel Black J12 - Large Size (ref H1635) is powered by automatic movement. The stylish look of this incredible timepiece is completed by a stainless steel and ceramic screw-down crown, plus a ceramic black bracelet with push-button foldover clasp. 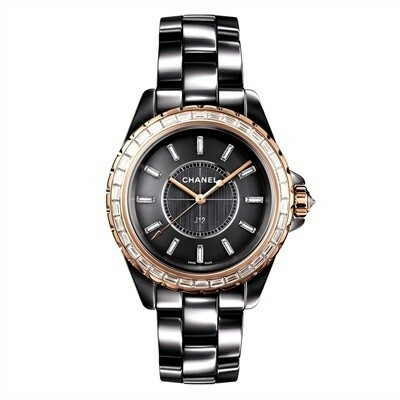 Its unidirectional rotating bezel is made of steel-rimmed-and-black ceramic that has minute markings. 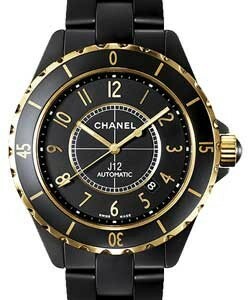 The Chanel Black J12 - Large Size (ref H1635), displaying superior craftsmanship, meets the ISO Standards and is suitable for scuba diving.